I have spent the past month consuming an inordinate amount of caffeine. On any given morning, you can count on me to arrive at work sporting a large regular from Tim Horton’s, or to brew the next batch of coffee in the lab French press. However, this latest coffee bender has been a whole new experience. When my comprehensive exam officially started just over 4 weeks ago, I thought I was prepared for the number of hours I would have to put in. What I did not expect was just how many refills I would be purchasing at my favourite coffee shops in the greater Hamilton area while studying for this ordeal. After submitting my final draft to my committee, I couldn’t help but wonder what effect all that caffeine had on my progress. Did all those delicious blonde roasts from Brown Dog Bootleg Cafe help me retain the knowledge I gleaned from each article? I racked my brain trying to remember what cognitive benefits there were to coffee, but I couldn’t separate old wives’ tales from scientific facts. So I turned to the literature, where I stumbled across a rather interesting finding made by a group at Newcastle University in the UK who assessed the effect of caffeine on the memory of bees. This article engrossed me because the authors approached this scenario from an evolutionary perspective. Instead of investigating the benefits of caffeine for the bees that pollinate caffeine-producing plants, Wright et al. question the evolutionary advantage for the plants that produce the caffeine in the first place. 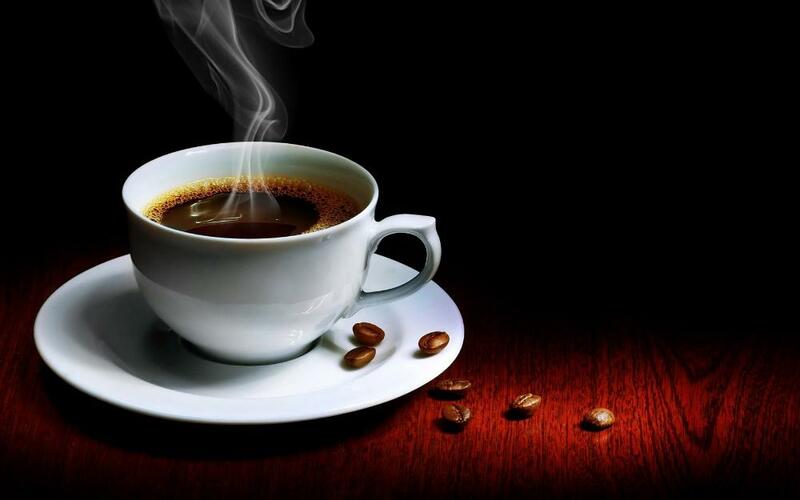 Caffeine has a bitter taste and the same is true of the plant genus Coffea, which produces the coffee beans. This bitter taste, especially at high concentrations, provides an evolutionary advantage for certain plant species as it discourages visits from dangerous herbivores. There are certain visitors, such as bees, that the Coffea flower would like to attract to aid in their pollination. While bees, like other large herbivore threats, dislike the taste of bitter nectars, it turns out that if the concentration of caffeine is just right, bees actually prefer a small amount of caffeine in their morning nectar. Wright et al. assessed the caffeine levels in the nectars of various plant species belonging to Caffea and Citrus, two caffeine-producing plant genera. In the species they examined, these authors found that the concentration of caffeine never strayed above the sweet spot required to keep the bees coming back for more. While this explains why bees don’t mind coming to visit these plants for a little pick-me-up, what evolutionary benefits does this hold for the plant itself? What is it about caffeine in the nectar that makes the bees want to come back? Perhaps the bees had learned something special about these plants, and this learning may have been facilitated by the presence of caffeine in the nectar. To assess the effect of caffeine on bee learning and memory, Wright et al. subjected a group of these insects to a classical conditioning experiment where the authors paired an odour stimulus with a sucrose reward. When the sucrose reward contained low doses of caffeine, the rate of learning for bees increased. Interestingly, the effects of this learning persisted for up to 3 days, suggesting that small amounts of caffeine somehow help the bees create a sustained memory for the odours of desired targets, such as the nectars of certain plant species. Next the authors cast their attention toward specific changes in the bee brain that might be responsible for this rapid formation of long-term memory. Along the antennae of bees are olfactory receptors, which sample scents and convert this information into electrical stimuli that propagate along axons terminating in the antennal lobes. Olfactory signals from antennal lobes and taste signals from bee mouth parts combine in an area called the “mushroom body,” and it is here that sensory integration and learning occur in insect brains. Wright et al. found that caffeine increases the excitability of neurons in mushroom bodies, and the effect of caffeine can be countered by blocking specific receptors on these neurons. Due to the overlap between this pathway and the reward pathway for insect learning, the authors conclude that caffeine likely strengthens olfactory synapses in the mushroom bodies, particularly when these signals are coupled with stimulation of the sugary reward pathway. Taken together, this provides an excellent explanation for why certain plants secrete a small amount of caffeine, a normally bitter and repellant taste for insects, into their nectar. A small amount of caffeine might strengthen synapses extending from olfactory receptors in bee antennae onto mushroom bodies, and increase memory formation for a particular floral scent. This would lead to future pollination of flowers bearing that particular scent. While I consider myself to have slightly better memory than a bee, and though I am still terrified of their stingers, after reading this article I couldn’t help but realize the striking similarities between these tiny insects and myself. We both prefer our caffeine with a little bit of sugar, and neither of us enjoys a too-bitter taste. When we find the right combination of caffeine and delicious aromas, time and again we keep coming back to the same place where we enjoyed our first experience there. And even though this takes me to my favourite coffee shop, and bees to a particular species of flower, we both seem to benefit from the memories we form while enjoying our caffeinated treats at these hotspots. There is a wealth of information out there surrounding the effects of caffeine on learning and memory. Some findings may be rather specific, concerning the molecular effects of caffeine on nicotinic acetylcholine receptors, and some might be more generalizable to humans, such as the behavioural effects of caffeine on adolescent rats. Even though the brains of humans and bees are very different, neuroscientific findings such as this capture the wide range of interesting questions that our field positions us to answer. I don’t dare claim to be a melittologist, but I am an avid coffee drinker and a MiNDS graduate student, and as such I thought this hot topic might generate some buzz around two things I am passionate about, learning and a nice hot cup of coffee. Wright, G. A., Baker, D. D., Palmer, M. J., Stabler, D., Mustard, J. A., Power, E. F., ... & Stevenson, P. C. (2013). Caffeine in floral nectar enhances a pollinator's memory of reward. Science, 339(6124), 1202-1204. Chittka, L., & Peng, F. (2013). Neuroscience. Caffeine boosts bees' memories. Science, (339), 1157-9.